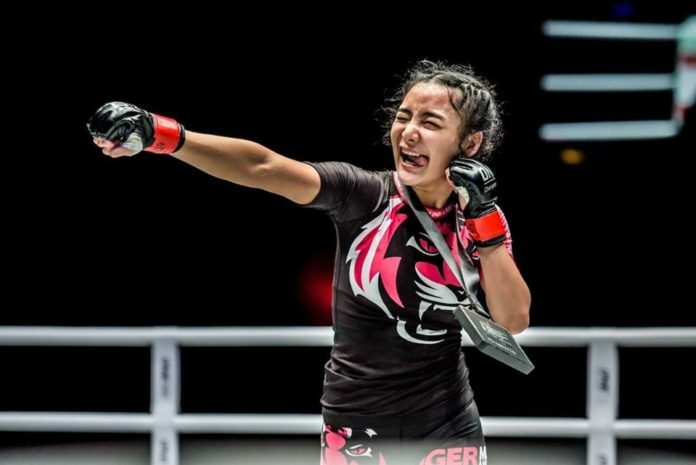 Thai mixed martial arts star Rika “Tinydoll” Ishige is starting 2019 with a clear goal in mind, and that is to become a world champion. The women’s atomweight contender split her outings in 2019, and says that the past year was a learning experience of sorts. Ishige heads back to action in her hometown of Bangkok, Thailand in the prelims of ONE: Clash of Legends this coming Saturday, 16 February. Coming off a win in her previous outing, she meets Cambodian former Lethwei star Nou Srey Pov, and is looking to keep her momentum going. The race is wide open in the ONE Women’s Atomweight division, with reigning champion Angela Lee looking to become a two-division world champion when she challenges reigning ONE Women’s Strawweight Champion Xiong Jing Nan in Japan. Whether or not Lee makes history by becoming the first female two-division titleholder, he ONE Women’s Atomweight crown will be coveted by a number of talented contenders, Ishige included.